The state has deployed two search and rescue teams, five ambulance teams, a nursing team and three teams from the state’s emergency response office to help with operations and planning. Ahead of Hurricane Florence’s expected landfall Thursday, Gov. 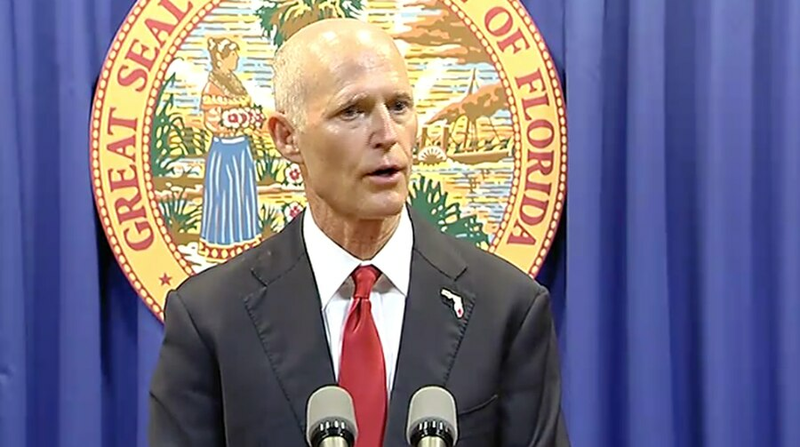 Rick Scott announced that the state will deploy resources to assist those affected in North and South Carolina. The state has deployed two search and rescue teams, five ambulance teams, a nursing team and three teams from the state's emergency response office to help with operations and planning. More than 2,000 Florida utility workers were also sent to help restore power after the storm hits. Several teams of volunteers from the Salvation Army, American Red Cross and Florida Baptists will also be sent to the Carolinas help. William Manley, a spokesman for the Florida National Guard, said the National Guard will not deploy units to assist with natural disasters unless the affected states — the Carolinas in this case — request help. The Florida National Guard has "Zodiac" boats built for high-water rescues, but states will generally request help from areas less prone to hurricanes in an effort to preserve resources.